When is it time to stop renting a home and seriously consider buying your own place? That’s a personal question and a very personal decision — it really depends on your lifestyle, your finances, your employment plans, and many other factors that could make buying a house a really good idea, or an absolutely terrible one. To figure out where you are on the homeownership spectrum and decide what the best move is for you, personally, here are 5 signs that you should probably keep renting and 11 indicators that it’s time to think seriously about buying a house. In many markets, you don’t actually need to make a lot of money in order to buy a house, but it’s always smart to go into homeownership with the confidence that your income and earning power are only going to go up in the near or distant future. Even though renting can be cheaper than buying in many markets and under many circumstances — and even though rent prices tend to increase faster than home prices in most places — your property taxes will go up as a homeowner; you’ll also be on the hook for home repairs, and if you want to make any improvements or even just keep the house you buy looking as good as it did when you bought it, all of that will require money. So if you’re working at a job where your hours or income are uncertain, where there’s little to no room for advancement — and it’s like that everywhere in your field — or you’re in school and will be in school for a few years, then it might not be the best time to think about buying. Some markets are hotter than others, and when the time comes to sell your house, it’s a lot better to be in an in-demand market than to have a house that takes a long time to sell. Many people don’t want to deal with or can’t afford to pay two mortgage payments at a time, so waiting to sell before finding a new place to live is a must for households in that situation. When you’re ready to move on, you’ll want to move on quickly, so it’s best to buy in a neighborhood or market where you can be relatively certain that the house you’ve yet to buy will be a quick sell. You can look up average days-on-market information for the city and even state where you live online, but to get the most detailed information about places you’d consider buying, it’s probably a good idea to check with an agent or someone else who knows the area well. There’s no sense in buying a house if you don’t know whether you even want to stay in the neighborhood! One advantage to being a renter is that you have the ability to leave and try somewhere else as soon as your lease is up, and there are plenty of renters who appreciate and even love this aspect of a renter’s lifestyle. It can be a lot of fun to change things up and try something new, after all! People who are feeling a little more “settled” in life and ready to try staying in one place for a spell could definitely benefit from considering homeownership, but if that’s not you, then renting is probably a better bet for right now. It’s not impossible to buy a house when you have debt like student debt and credit card debt — but if your level of debt is overwhelming, then you won’t get the best possible deal on your mortgage loan because your credit will likely be lower than it could be. Likewise, mortgage loans typically require a down payment; you don’t need a full 20% down in some cases, and some loans have 0% down terms, but to secure most loans, you’re going to need some money stashed away. In addition to the down payment, you have appraisal and inspection fees, closing costs, and time away from work that you might need to spend looking for a house and dealing with the transaction itself. If you’re in a situation where your level of debt is high and you really haven’t saved anything up toward buying a home, then it’s smart to tackle both of those financial realities first and foremost before you start shopping. While you’re getting everything in order, keep renting. Even if none of the above applies to you, it still might not be a great time to think about buying a house. Mortgage loans are issued with the understanding that you’re going to stay put for several years (if not decades), and so settling for a place that isn’t quite right just to get your foot in the homeownership door can be a terrible move. To avoid paying capital gains taxes on a home sale, you’ll need to live in the house for at least two years. So if you really want a yard (or have to have one for your pets or family members), for example, and there are no homes for sale with any yards to speak of — or only yards that are adjacent to busy streets — then it’s usually smarter to keep working on your credit, building up your savings, and renting a place from someone else than it is to buy a house that you’re not sure is right for you. If it’s not and you need to move, you could end up losing lots of money on the deal instead of accruing equity and selling higher than you bought. Whether it’s because you’ve fallen in love with a neighborhood or market and can’t imagine leaving, or because the job opportunities in your city are better than anywhere else in the country, when you know that you want to stay in an area for a long time, it’s a good idea to think about buying a house there. You’ll be building equity while you pay your mortgage, and housing prices tend to increase over time (apart from regular market corrections), so if there’s a lot keeping you where you currently live, then you should seriously consider becoming a homeowner. Mortgage lenders look at your debt-to-income ratio when they consider issuing a loan, and this can influence your mortgage interest rate, among other factors. To save money long-term, it’s a good idea to get yourself in the best financial shape possible before applying for (and securing) a mortgage loan, which is why you might want to do it after your student loans, credit cards, car payments, and any other outstanding debts that you have are all free and clear. Of course, you might not want to go into debt again so soon after digging yourself out, especially a big debt like a mortgage, but if you ever want to be a homeowner someday, then thinking about it when you’re debt-free is one of the biggest favors you can do for yourself. Another way you can show mortgage lenders that you’re a good prospect for a loan is by increasing the amount of money in your savings account. This could be for a down payment (more on that below), but it can also be simply an emergency fund that you add to and try never to tap except for, well, emergencies. 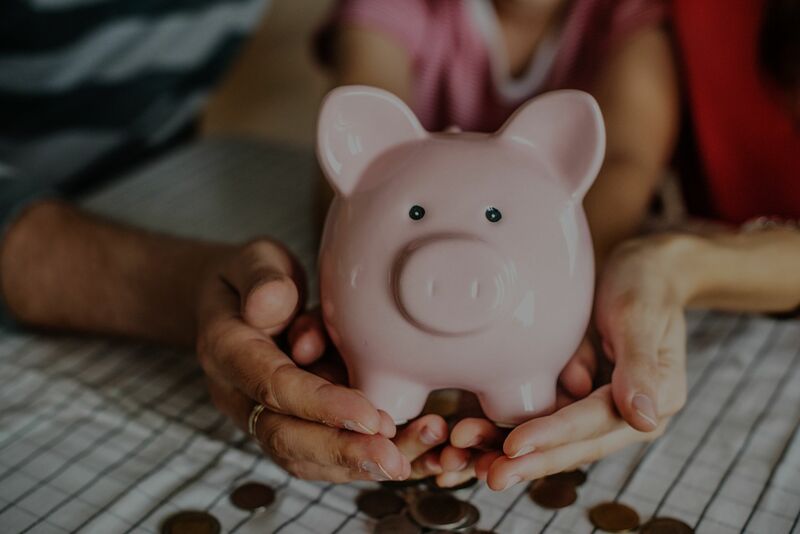 By saving up an emergency fund, you’ll show a mortgage lender that you know how to save and are responsible financially, which can also lead to a lower interest rate and better terms on your mortgage. One of the biggest expenses involved in homeownership is the down payment. Again, not all loans will require a down payment; there are some loans (like those issued by the VA) that don’t ask for any money down, and also programs by the Federal Housing Administration (FHA) that will let you put as little as 3.5% down on a house. That said, the programs that allow you to put less than 20% down also usually require private mortgage insurance (PMI) on the loan in addition to paying for the loan principal, interest, taxes, and insurance every month. This PMI amount is calculated depending on the loan amount borrowed. So to save the most money over the lifetime of the loan, it’s smart to get as close to that 20% magic down payment as you can. One of the biggest ways that lenders assess your ability to pay back a loan is by looking at your credit score. If your credit is good and the rest of these financial attributes also apply, then it’s probably a really good time to think about buying. Your credit score is based on multiple factors, including how much credit you have to draw from (think of this number as an equivalent to your account limit on a credit card), how much credit you’ve used, how good you are at paying back debts you owe, and a few other bits and pieces. If you’re worried about your credit score, one of the best things you can do is to make sure to pay all your bills on time and try to pay down any existing debt that you have. Renters have it easy in that when something happens to the place where they’re living, they can call someone else to come and fix it — and they won’t be charged for it. That’s not the case when you own the house you live in. Hot water broken? Toilets won’t flush? Lights flickering? You’re going to have to call someone to fix it for you … and pay them. Some homes come with a warranty that can help offset some of this cost, at least for a few years. You can always ask your agent if a warranty is an option for you when the time comes to buy. But if not, it’s a good idea to familiarize yourself with some basic requirements of homeownership and the tools you’ll need to fix minor problems. This might be hard to determine, but you can look for online calculators (The New York Times has a good one here: https://www.nytimes.com/interactive/2014/upshot/buy-rent-calculator.html?_r=0) that will let you punch in several different numbers and fields, including the price of the house you want to buy, interest rates, how much money you’re putting down, how long you want to stay there, and so on, and then will use some advanced math to tell you how cheap rent would have to be to make renting less expensive (long-term) than buying. If you can tell immediately that there’s no way to rent a house like the one you want to buy for the rent price quoted, then you’re getting a good deal. Although renting does have its perks, one thing that a lot of renters don’t like is the fact that the home isn’t really theirs, and they can’t treat it as such. What if you want to build a fence or even do something simple like paint the walls? Better check the lease! When the house is yours, as long as you follow local permitting guidelines, you can be as creative as you want and do as much as you want to the place to really make it feel like home. You can redo the kitchen or the closets, turn your bathtub into a shower/bath, plant flowers, start a garden — and mow the lawn on your own schedule. Most of the time, a house or condo you buy is going to have more privacy than one you’re renting. This is partly because you can usually get more square footage for your dollar when you’re buying a house (and hence more privacy), but it’s also because you don’t have to consider the preferences of a landlord who might want to stop by every now and again. If you’re starting to feel strain from feeling like there are constantly people around your rental abode, then it might be time to start thinking seriously about buying a house. Some metro areas have rent control, and this might not apply there, and others place limits on how much a landlord can raise rent every year, but many do not. It’s not unheard of for a renter to pay increasingly higher rent every year. Although your property taxes will go up as home values increase, as a homeowner, your mortgage payment is going to be stable over time — despite inflation. You’ll be paying about the same amount toward the end of your mortgage as you did at the beginning, especially if you take care to keep your escrow account balanced. Knowing that you’re not going to pay any more for living where you do year after year can be a huge weight off your mind, and your wallet, and can give you more bandwidth to save for things like renovations and vacations if your income increases, too. Buying a house can feel in many ways like getting married: it’s both exciting and terrifying. First-time homeowners might cycle through feelings of elation at finally having a place to call their own, then experience sudden doubts that this is really the right place, that you’re getting a good deal, that you want to stay in the area — all of those feelings are very normal. But also like getting married, you probably know when your doubts are just a side effect of the commitment you’re about to make … and when they signify something deeper and more troubling. When you feel like you’re emotionally ready to take a step toward homeownership, then it’s time to start thinking about shopping for a house. Only you can make the best decision for your current situation and lifestyle, but if you have questions about the housing market and how much money you’ll need to become a homeowner, then check with a real estate agent who can help clear up any mysteries, helping you make an educated decision.